Starhill Gallery - A Gallery Of Rich Experiences To Satisfy Your Taste In Fashion, Food And Much More! What business do I personally have at Starhill Gallery? Frankly...NONE! But I can't help resisting the temptation of imagining myself being able to splurge and keep charging my credit cards without looking at the price tags at this place! By the way, there isn't a sign that says "No window shopping allowed" :). WARNING : Starhill Gallery is definitely not for those looking for a bargain! Located on Jalan Bukit Bintang, this magnificent made in heaven shopping mall's goal is to deliver "A Gallery of Rich Experiences". With 7 floors totaling to 280,000 sq. ft of retail space, it is carefully designed by renowned architects and designers from Malaysia, USA, Japan, France, Germany, Italy, England, and Singapore. Together they instill a theme that is inspired by nature displayed elegantly. If you really got to know, they key contributors are renowned designer David Rockwell of New York, Design Spirits Company Ltd, along with Yuhkichi Kawai and Interbrand, one of the most successful brand managers in the world. Starhill Gallery makes the ultimate statement in fashion, food, beauty and art. This Gallery of Rich Experiences revolves around its 7 unique floors themed: Feast, Indulge, Adorn, Explore, Pamper, Relish and Muse. Feast and Relish provides an exclusive dining experience. 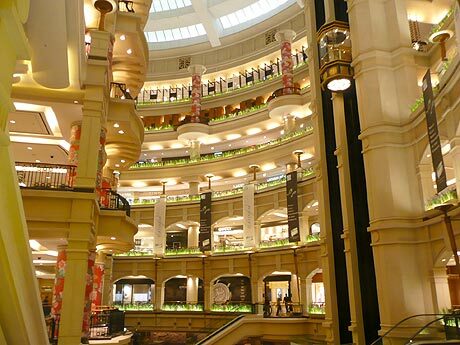 Fine dining outlets such as Vansh, Shooks!, Gonbei, Jogoya and many more occupy the 2 floors. p>Looking for a bar? 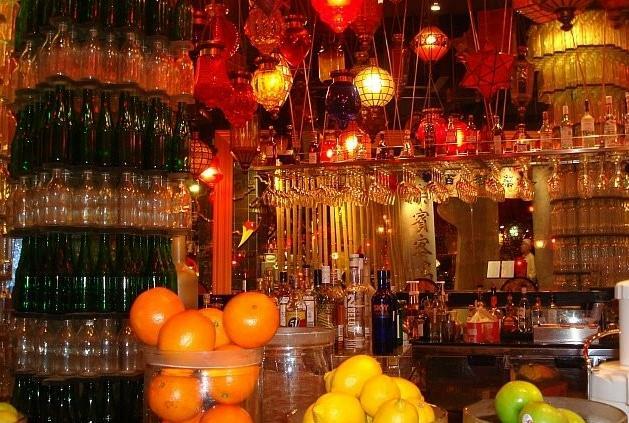 Check out the Village Bar with its iconic pillars of stacked bottles with five counters serving different drinks. Vuitton, Givenchy, Porsche Design, Davidoff, Tiffany, Omega and I can guarantee you whatever international brands you are looking for. The Pamper Zone ? You guessed it. This is the ultimate retreat dedicated to health, beauty and relaxation. Just this area alone takes up 50,000 sq. ft and 93 treatment rooms. Some of the worlds best therapists are housed right here. Muse is dedicated to those who appreciate art and it houses some of the best local art galleries ranging from canvas to photography and sculptures as well. The latest addition to this family is the Jackie Chan's Cafe. Starhill Gallery which is also known as Starhill Plaza may be the perfect choice for those looking for a more private shopping experience. The last point I would like to add it the restroom at the Feast Level. You have to check this out. The ambience reminds me of a massage centre instead. The restroom is dimly lit and make you get a whiff of their signature pepermint aroma. 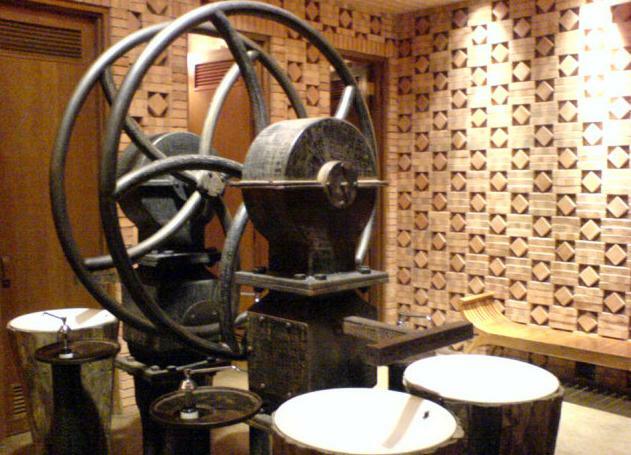 After using the restroom, you have to pull a wooden contraption for the water to come out and then wash your hands. Try it!